Professor Ottmar Lipp is a cognitive psychologist with research interests in emotion and attention and their interaction with learning. He was awarded a PhD in psychology from Justus Liebig Universtaet, Giessen in 1989 and a Habilitation from Phillips-Universitaet, Marburg in 1999. Since joining The University of Queensland School of Psychology in 1991his contribution to research in the field has been acknowledged – he was admitted as a Fellow of the Academy of the Social Sciences in Australia in 2008 and as a Fellow of the Australian Psychological Society in 2010. 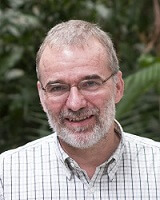 Professor Lipp is also a Co-Director of the Science of Learning Centre at The University of Queensland. Professor Lipp’s research, both basic and applied, is concerned with emotion, attention and their interaction in human learning. In particular, it is concerned with the processes involved in the acquisition of likes and dislikes (including fear learning) and the manner in which emotionally salient events are processed and influence cognition. His research within the SLRC will explore the effects of emotional states like fear or pleasure on learning in complex environments.